Jennifer Mieth, Public Education Manager, tells how the MA Fire Marshal's office has approached fire education. Marlene McGann, Co-Chair of CT Task Force, reviews different ways the Connecticut Task Force has disseminated information. Vilma Rodriguez, former Poison Control Educator in Rhode Island, explains how different R.I. Latino groups abuse inhalants and the need to adapt education measures accordingly. The task forces and inhalant teams in the six New England states used their pre-existing prevention networks to carry the message. 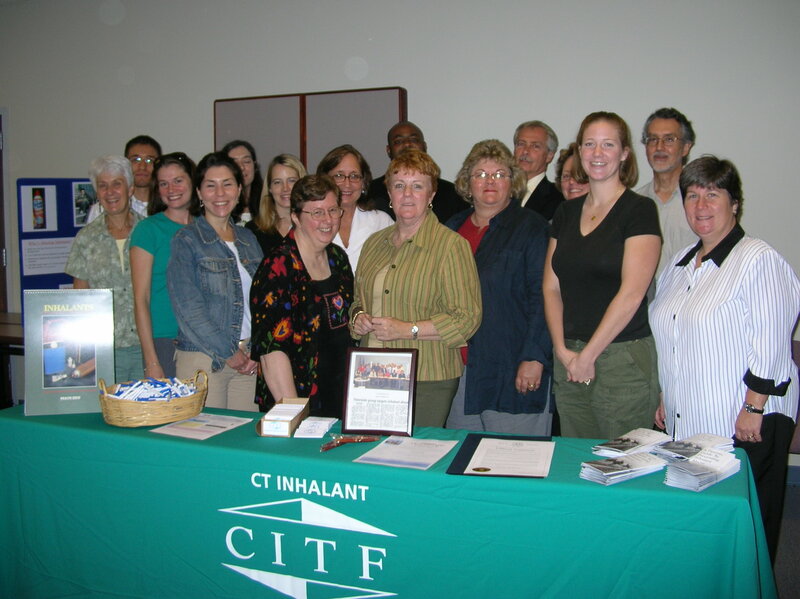 They offered presentations on inhalant abuse at scheduled trainings and statewide conferences for teachers, school nurses, health educators, community coalitions, prevention specialists, substance abuse counselors, youth outreach workers, adolescent treatment staff, and foster care staff. Police, EMTs and other first responders have shown interest in making inhalant abuse training part of their professional training. Task force members approached Head Start programs to introduce the message to preschoolers and their parents. Schools have requested a sample scent-reduced environment policy developed by Northern New England Poison Center. Connecticut Task Force designed church bulletin inserts to accompany family discussions in coordination with the Clergy for a Drug Free Society. Strategic advocacy by a parent support group in New Hampshire resulted in the removal from local supermarket shelves of aerosol products specifically marketed to boys. Task force members provided training to hospital emergency room staff at Grand Rounds. Local and national retailers have been quizzed about how they restrict inhalable products to minors. It’s essential to collect data on the hot spots of inhalant use, so that those areas can be targeted directly. It is also important to recognize cultural differences in how inhalants are used and how they are valued in specific cultures. In Massachusetts, the person in charge of media is a member of the task force. Whenever the Department of Public Health puts out a piece of information for parents on substance abuse prevention, she makes sure that there is accurate and timely information about inhalant abuse included. Inhalants are not spotlighted, because that’s often what does not persist. What persists is what fits into what the Department is already doing. States worked to establish relationships with the press so that when inhalant issues came up they would address the dangers of inhalant abuse without them telling kids what to use and how to use it. They also developed frequently asked question for the press and other professionals, and put that on their website.